1.) Like our Superior Hearth, Spas & Leisure Facebook page (Simply visit our Facebook Page and click the "Like" button under the banner image). Be sure you like our PAGE and not just the POST!!! 2.) 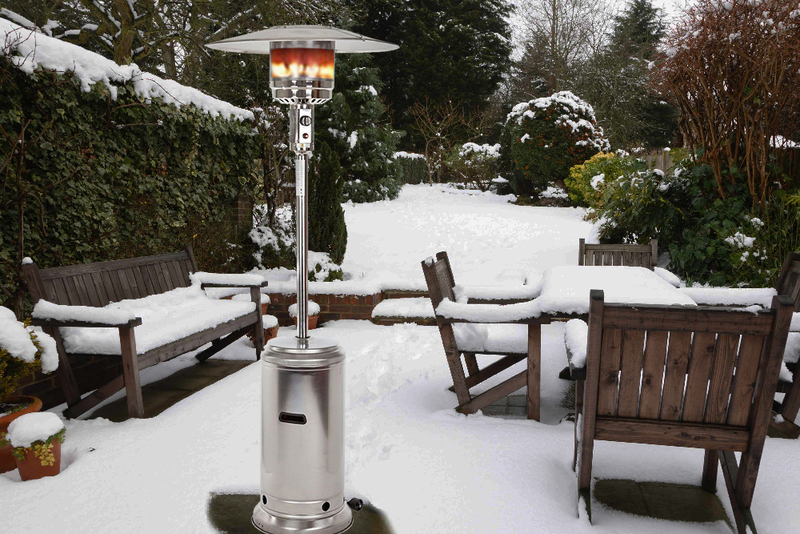 Fill out the form below for a chance to win a Vulcan 44,000 BTU Stainless Steel Patio Heater! Submissions will be accepted until Sunday, March 3rd, 2019 at 11:59PM EST. Winner will be announced via email on Friday, March 8th, 2019 by 9:00AM EST. This promotion is in no way sponsored, endorsed or administered by, or associated with, Facebook. You are providing your information to Superior Hearth, Spas & Leisure and not to Facebook. The information you provide will only be used for the Superior Hearth, Spas & Leisure Vulcan Patio Heater Sweepstakes. No purchase necessary. Purchases of any kind do not enhance chances of winning. Void where prohibited. Participant must like Superior Hearth, Spas & Leisure's Facebook pages and complete the above form. Must be 18 years or older to enter. Submissions will be accepted until Sunday, March 3rd, 2019 at 11:59PM EST. Drawing will be held on Friday, March 8th, 2019 at 9:00AM EST. Winner will be selected at random via computerized generation software. By entering this promotion, participant consents to all applicable laws and regulations from Facebook and the state of Connecticut. Chances of winning vary based on the number of participants. Limit 1 entry per individual. Superior Network employees are excluded from entering the sweepstakes. Winner is responsible for the transportation of the patio heater unit. Superior Network of Companies is not liable and will not fund any transportation henceforth.